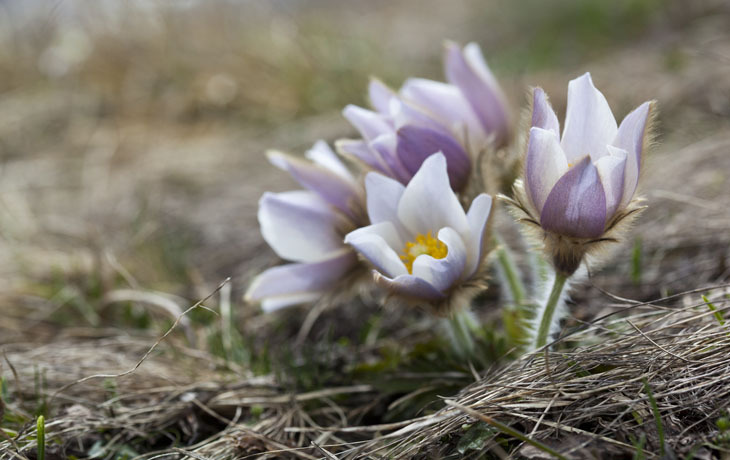 Founded in 1978, the Puez-Geisler / Puez-Odle Nature Park extends to Würzjoch / Passo delle Erbe in the north, Grödner Joch / Passo Gardena in the south, Gadertal / Val Badia valley (Kampill, Untermoj / Longiarü, Antermöia) in the east and Villnößtal / Val di Funes and Grödntal / Val Gardena in the west. 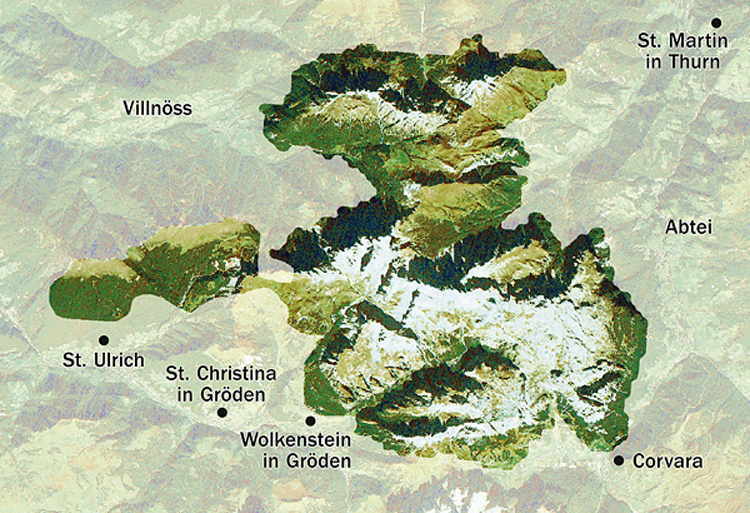 The northern portion of the park encompasses Aferer / Odle di Eores, Villnösser Geisler / Odle di Funes and Peitlerkofel / Sas da Pütia, while the southern portion encompasses the highlands of Gherdenacia, Sassongher, Puez (including Langental / Vallunga) and the Cir mountains. 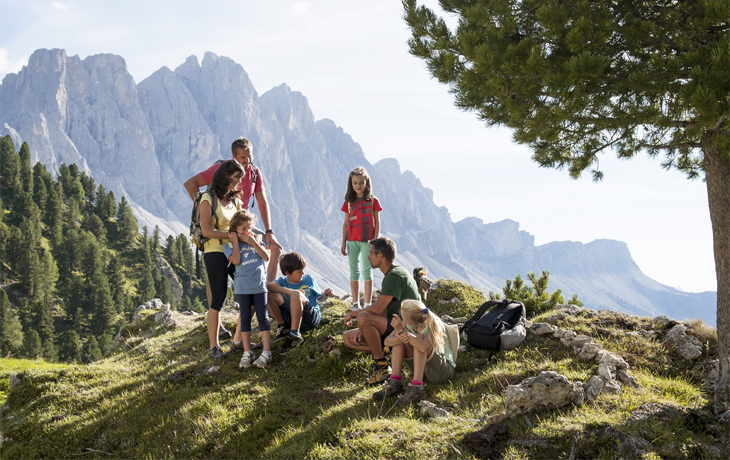 The park was enlarged in 1999 and now extends over an area of around 10,722 hectares belonging to the villages of Abtei / Badia, Corvara, Villnöss / Funes, St.Martin in Thurn / S. Martino in Badia, St.Ulrich / Ortisei, St. Christina / S. Cristina in Gröden and Wolkenstein in Gröden / Selva di Gardena. 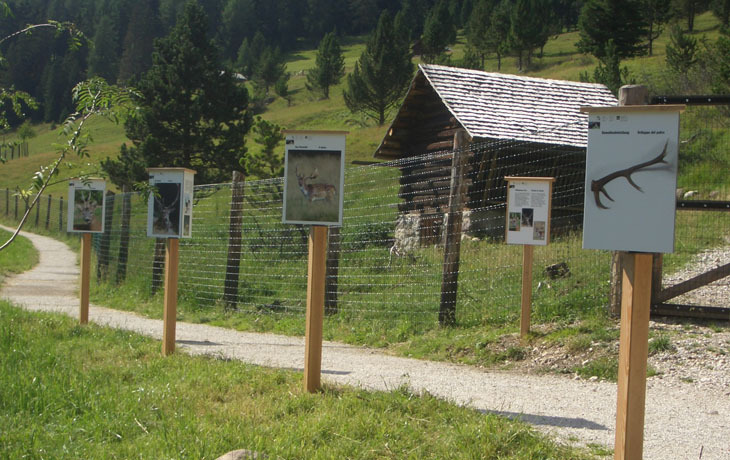 Apart from Villnösstal / Val di Funes, all of the park’s other municipalities are Ladin communities: St. Christina/Santa Crestina, Wolkenstein/Sëlva, Abtei/Badia and Corvara in the south, and St. Martin in Thurn/San Martin de Tor in the east. The Puez-Geisler / Puez-Odle Nature Park, which counts as a Dolomites site hut, contains all of the rock types, sediment strata and weathering forms that are characteristic of the Dolomites. The park’s karstic highlands, majestic rock faces, rolling Alpine pastures set off against bizarre looking backdrops of cleft mountains, valleys formed by extreme erosion, and dark coniferous forests comprise a multifarious landscape that is rarely found in such a small area. In summer 2009, due to their scenic beauty and their geomorphological and geological significance, the Dolomites were added to the list of UNESCO World Heritage Sites. This carefully chosen list of sites includes the most outstanding and unique natural or cultural assets, whose protection is particularly important for the international community. 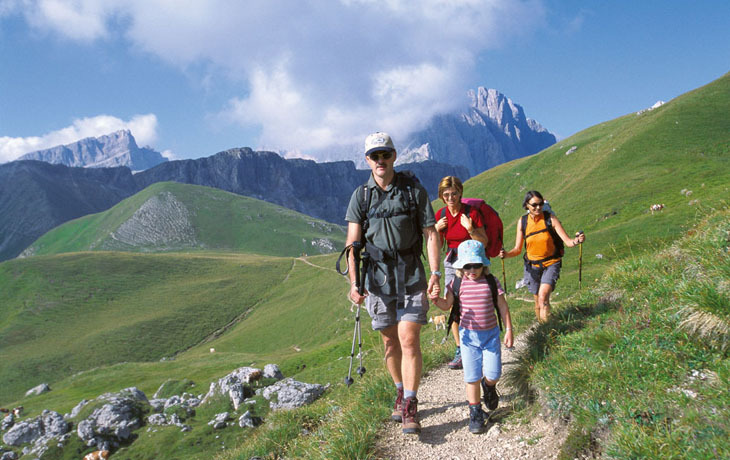 The Dolomites and with them also the Puez-Geisler / Puez-Odle Nature Park have thus been awarded the greatest recognition a natural asset may receive. Such recognition, however, also confers certain duties and responsibilities relating to the conservation and sustainable development of this extraordinary mountain region.